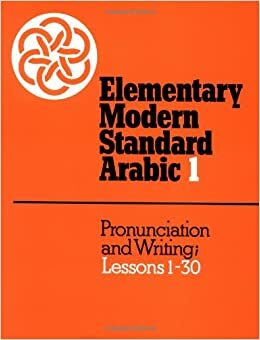 When I was a lowly first-year Arabic student many years ago, the textbook we used was this very austere-looking orange-colored tome called, austerely, Elementary Modern Standard Arabic 1. EMSA is a perfectly cromulent textbook — it teaches you the right grammar, writing, reading, etc. — as long as you have no particular interest in learning the sort of vocabulary that you might need to engage in a normal conversation with another normal human being. Instead of writing lesson texts and dialogues around everyday things like talking about the weather, or ordering food in a restaurant, the writers of EMSA get into some really targeted topics, like elections in the US and a discourse on the status of women in the Arab world — important topics, but not the kind of thing you’re likely to get into as a first-year Arabic student who might want to exchange pleasantries with an Arabic speaker on vacation. One of the most infamous of EMSA’s esoteric texts is one on the Nile River, mostly because of its four short paragraphs, one is devoted to the construction of the High Dam at the Upper Nile city of Aswan. The Aswan Dam was built in the 1960s as part of the Egyptian government’s modernization program, to control water flows on the river and generate electricity. Why? Who knows? Even in 1968, when EMSA was first written and while the dam was being built, I’d be willing to bet that you’d be exceedingly unlikely to meet any Arabic speakers who wanted to casually chat about the Aswan Dam with some newbie American Arabic student. And it’s not like “dam” vocabulary has a lot of general usefulness. By the time you get to the “River Nile” text in the book, the student is already familiar with the fact that these texts are on pretty formal topics that use some fairly specialize vocabulary, so this paragraph is kind of like the whipped cream on top of the absurd sundae and usually the class has a nice laugh at it. Or at least they did; as far as I know most Arabic 1 classes these days use a different text, الكتاب في تعلم العربية (al-Kitāb fī Taʿallum al-ʿArabīyah; “The Book for Learning Arabic”), in part because it teaches more useful vocabulary. As I do every year, I’ll link to the first Eid al-Fitr post on this blog, which has more information about the holiday for those who are interested.